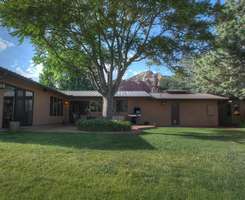 A stylishly decorated contemporary home in the Uptown area of Sedona, Quietude provides a wonderfully private outdoor retreat along with comfortable living spaces and great views from inside and out. 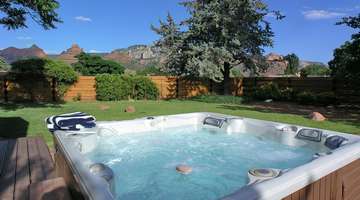 A place to come home to after your days out hiking, shopping or on a day trip exploring Sedona area attractions, Quietude offers excellent red rock views from its large rear patio and fully fenced grassy backyard. Enjoy a soak in the large hot tub that has red rock views, create a barbecue feast or just sit back and breathe in the fresh Arizona air. 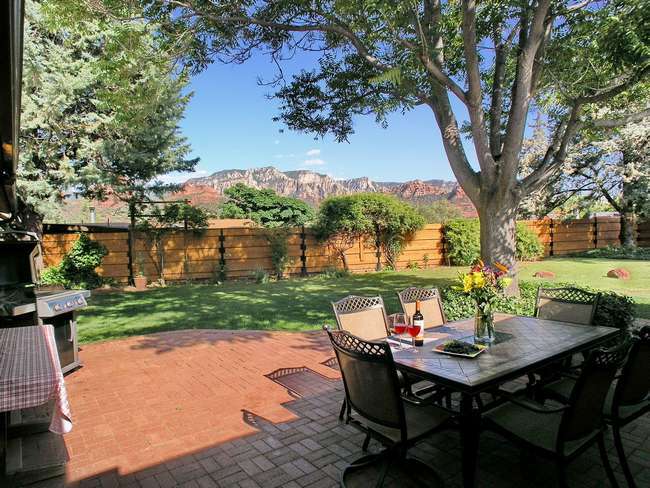 Your quiet Sedona retreat awaits your arrival! See you soon!